The 2019 must-have palette for interior design, fashion and furnishings is set to include PANTONE 16-1546 Living Coral, which has been named Pantone Colour of the Year. Selected by colour trend experts at the Pantone Color Institute, Living Coral is described as an ‘animating and life-affirming coral hue’. As with such announcements and the subjective nature of colour choice, it has received mixed reviews. Amongst the debate and deliberation, the name ‘living coral’ and its wider social commentary on global warming and the state of our diminishing coral reefs has divided opinion. It’s certainly struck a nerve, with some in full support and others slating it as ‘another marketing ploy’. Whatever your thoughts on the new Pantone Colour of the Year, there’s no getting away from its warm tones bringing energy yet calmness to a space. It’s buoyant, positive and light-hearted. When used in interior design, PANTONE Living Coral rugs, blankets and upholsteries can create a warm and nurturing feeling, while wall colourings and decorative accessories add a dramatic pop of colour. The vivid sunset hue works well in monochrome schemes and finds a dynamic partnership with blue, reflecting coral’s harmonious relationship with the sea. In the home, it is complemented by Hamilton’s decorative wiring accessories in Satin Chrome and Satin Stainless finishes, whose metallic and reflective tones link to water and bring extra life and sparkle to the on-trend colour. In addition to the satin chrome and stainless-steel finishes, Satin Brass and Hamilton’s cost-effective white plastic finish in the Hartland CFX design, create crisp, contemporary interiors. For a more coordinated alternative, Hamilton’s Paintables range allows you to exactly match the Pantone as a plate finish, with this option available in Hartland CFX or Sheer CFX. 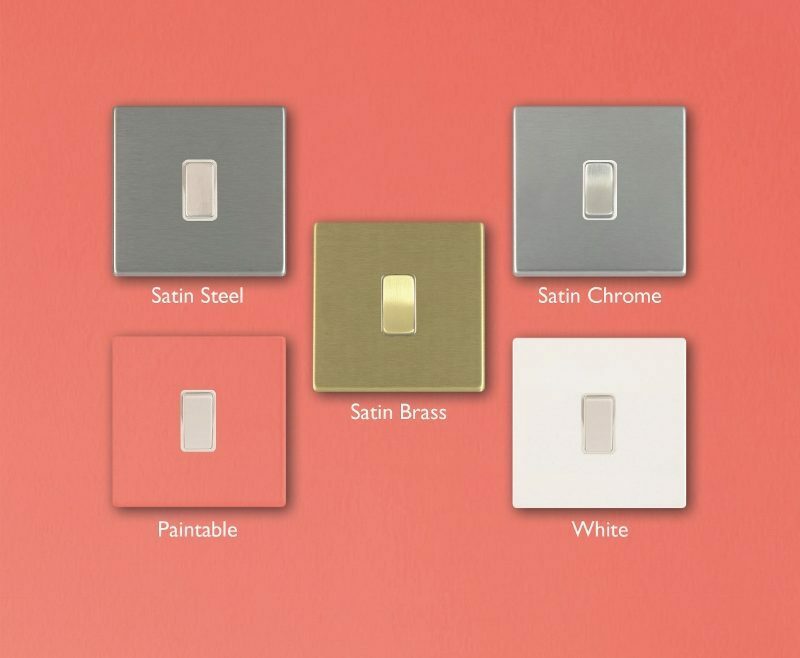 With a wide range of designs and finishes, along with functionality to suit the modern, connected household or high-end hotel – including dual 2.4A USB double switched socket plates – Hamilton’s electrical wiring accessories provide the perfect finishing touch for any interior scheme, whatever the shade or design. Hamilton litestat, which celebrated a major milestone in 2018 when the business reached its 50th anniversary, is one of our recommended suppliers. To keep up to date with their news, click here. And, if you are interested in becoming one of our recommended suppliers, click here.